Rightly or wrongly, Kanye West has never been judged by the fashion world by the same metrics that we would judge any other fledgling designer. It is a double-edged sword: when Yeezy hosts a fashion show, you can guarantee that the whole industry will be paying attention; equally, when those shows are long-winded, fumbled affairs, it draws the ire of an industry that has typically become very good at keeping its own counsel – at least publically. This is a phenomenon that West is acutely aware of. He ostensibly feels that much of his work has been pre-judged, yet is also aware that his celebrity affords his brand a considerable platform within the world of fashion. His decision last week to move the time of his show so that it did not clash with another was a concession that seemingly acknowledged this. 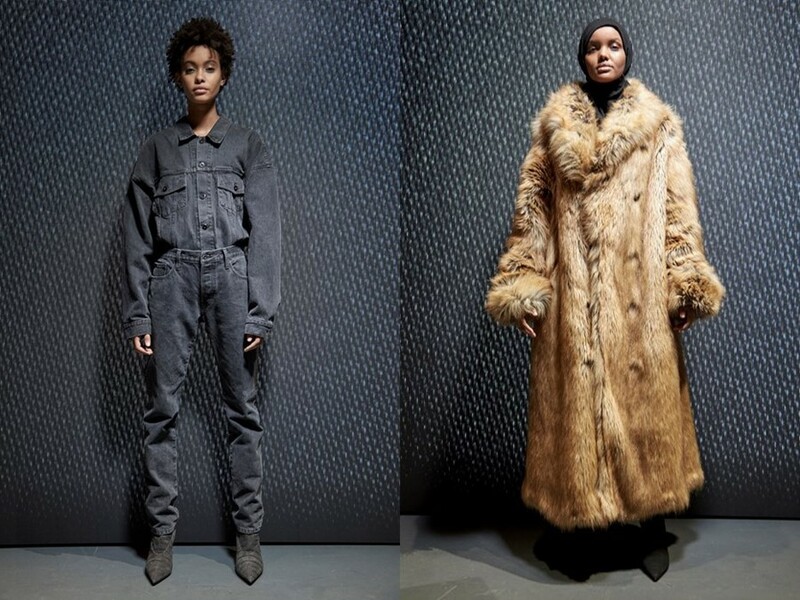 On Wednesday at Chelsea Piers in New York, West hosted a scaled-down, pared-back show for Yeezy Season 5. 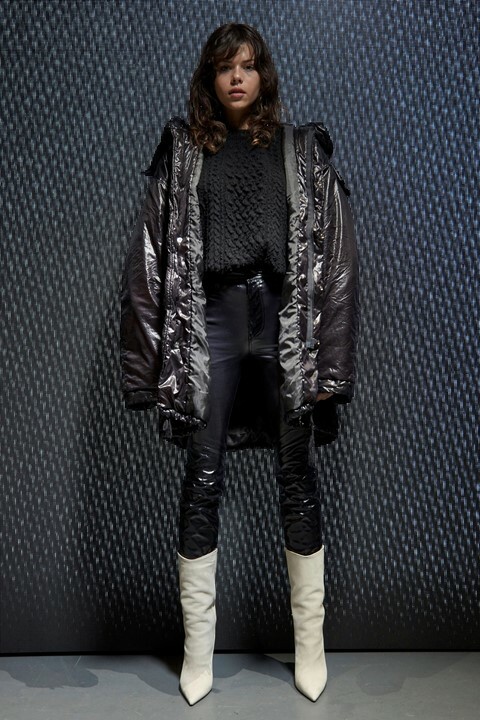 This time, there were no truncated bus journeys to remote locations, no troupes of still models and, as Vanessa Friedman of the New York Times remarked, the show only ran 25 minutes late – which is technically five minutes early by typical fashion week standards. But while the show was improved, and the clothes that were debuted felt like a clear progression from repetitive previous seasons, it also saw West deliver a timely message. In a show which took in 31 looks, the majority (as in all of West’s past shows) were modelled by people of colour – and once more included people who were all manner of shapes and sizes. The undeniable moment of the whole affair, however, was the appearance of Halima Aden – the first hijab-wearing model to be signed by super-agency IMG. It was Aden’s first runway appearance, dressed in a faux-fur coat – one of the collection’s standout pieces – and emblematic of a show that celebrated what America really looks like in 2017. “I signed with the top modelling agency in the WORLD and still wore my hijab as my crown. Don't ever change yourself...Change the game,” wrote Aden on Instagram just hours before the show. With Trump’s ‘muslim ban’ never far from the news, politics have been hard to avoid within this past month of fashion shows. Designers have tried to reckon with a post-Trump, post-Brexit world, and the rising tide of xenophobia that has been precipitated by it. And, at times over the past month, as our social media feeds have filled with images women marching on Washington and the disenfranchised inhabitants of Paris’s banlieues clashing with police, to be sat at a fashion show taking in clothes worth thousands of pounds has felt a little silly. 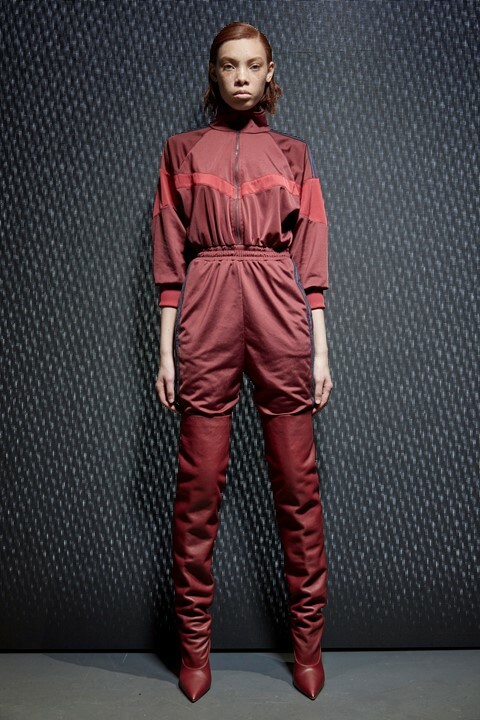 It is a notion that many designers have tried to address in their collections, marrying the currently geopolitical zeitgeist with their own creations to varying degrees of success. At Raf Simons earlier this month, we saw a collection that celebrated New York, with the Belgian designer speaking in his post-show interview of feeling the need to take a stand. “You can only speak up,” he declared backstage. “You have to bring things that stand against it. I think we all have to activate.” Yet, for a show which celebrated NYC – one of the most diverse cities in America – there was a dissonance in its casting, where 70% of the looks featured white models. Of course, making a statement is always better than keeping quiet, but being political without being hamfisted isn’t the easiest balance to strike. At Public School, there were slightly clumsy attempts with Trump-style caps that read “Make America New York”, while Prabal Gurung sent models out in t-shirts which declared everything from ‘Femininity with a bite’ to ‘Break down walls’. And last month, just a matter of days before Trump’s inauguration, there was the instantly meme-able Balenciaga jacket that borrowed from the campaign logo of defeated Democratic primary candidate Bernie Sanders – complete with the uncomfortable irony that those who Sanders campaigned on behalf were unlikely to be able to afford said jacket. West is not the first designer to have put hijabs on the runway. Last year, designer Anniesa Hasibuan, an Indonesian Muslim, made her New York Fashion Week debut by sending all her models down the runway wearing them. But as mentioned, with West comes an audience that few other designers, new or established, could muster. Earlier this week, The Cut questioned whether the industry had grown bored of West. His response was both timely and emphatic, challenging fashion with a show that underlined what real runway diversity looked like. And, as if to underline the value of this, it came in a week where Vogue, the embodiment of the fashion “establishment”, premiered a “diversity issue” that included a tone deaf shoot of Karlie Kloss dressed as a geisha. All of this will have perhaps came as a surprise to some. After all, we are just weeks on from West declaring that, if he had voted in the presidential election, he would have opted for Donald Trump, and even meeting with the President himself. It is an endorsement that West has seemingly since renounced (deleting all his tweets) and, notably, one made at a time where he was patiently dealing with mental health issues, with him being admitted to hospital just days later. However, beyond the occasional controversy and in a career that has spanned 13 years in the public eye, West has typically been outspoken in his liberal views: he was one of the few rappers to embrace his gay fans in a pre-Frank Ocean era; he has repeatedly railed against racism, and, in his own inimitable style, helped erode the poisonous hyper-masculine front that rap hid behind for so long. Kanye West did not change rap, or popular culture for that matter, overnight – and nor will he change fashion with a flurry of shows. However, in West’s casting, he held up a mirror to an industry where half-baked political statements are praised for being radical, and whitewashed runways are simply the norm. The fact that this article even exists is a testament to how far fashion still has to come in this sense. But just as West, a celebrity and relative newcomer to this world, is met with a heightened sense of derision when he gets things wrong, he should also be praised when he gets things right. And on Wednesday night, in this current political climate, West got it spot on. It was his most powerful fashion statement yet.